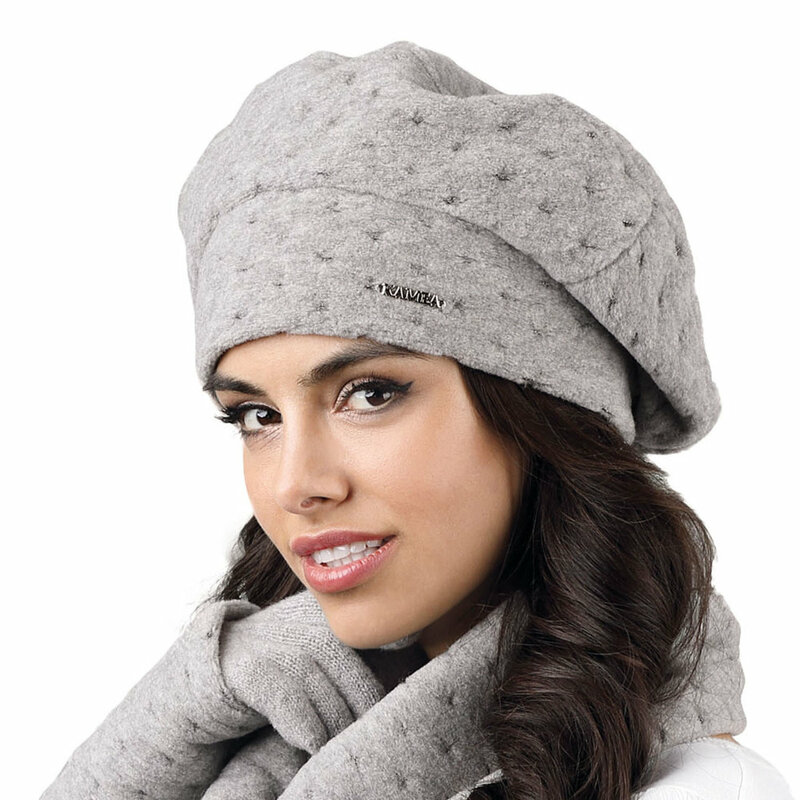 Stylish ladies beret made of thick, woolen fabric with fleece lining. Subtle, shiny details. Composition: 60% wool, 20% acrylic, 20% polyester. Lining - 100% polyester.